Marvel’s Spider-Man is meant to make players feel like they’re actually Spider-Man. For the most part, Insomniac aimed to accomplish this by perfecting the web-swinging mechanic. But sometimes that’s not enough. Sometimes, you need over 500 people to meet up and dress as Spider-Man in real life. On September 16, 2018, 547 people gathered together at Comic Con in Stockholm dressed as Spider-Man. In doing so, the group broke the Guinness World Record for the largest gathering of people dressed as Spider-Man in one location. The good news was tweeted out by C.B Cebulski, Chief Editor at Marvel. Sony and Marvel are now the world record holders. If you binged the game, its release may feel like a world away, but moments like this speak to the fact that the excitement surrounding Marvel’s Spider-Man isn’t dying out anytime soon. Now that Marvel’s Spider-Man is out, we’re learning even more about the cast of foes and the thought that went into their designs. It’s only a matter of time before we get to dig into the DLC and new game+. 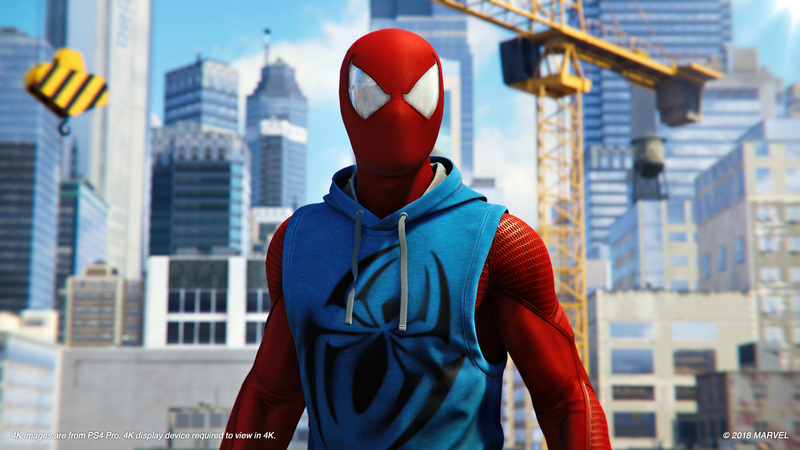 Although Marvel’s Spider-Man just came out earlier in September 2018, fans are already hoping (and asking) for a sequel. If another installment comes out, maybe 548 people can show up dressed in the Advanced Suit and turn this into a tradition. Marvel’s Spider-Man is out now for the PlayStation 4. You can swing by our review.